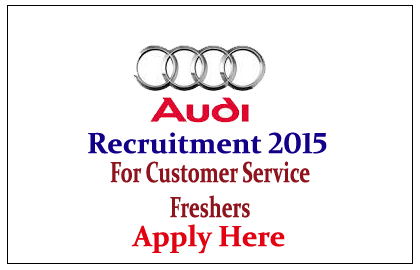 Audi is recruiting freshers for the post of Customer Relation Executive. Eligible candidate can send their CV on or before 15th July 2015. Company Profile: Audi AG is a German automobile manufacturer that designs, engineers, produces, markets and distributes luxury automobiles. Audi oversees worldwide operations from its headquarters in Ingolstadt, Bavaria, Germany. 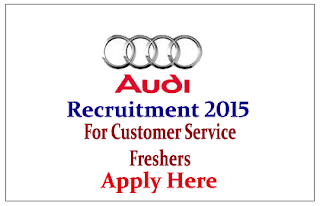 How to Apply: Interested and eligible candidate can send their CV with photo enclosed on or before 15.07.2015 to hrmanager@audicoimbatore.in .